The hard-touring Psychedelic Furs are heading back out on the road in the U.S. this month for a 14-date spring trek that will be followed by a 22-date North American tour this summer in which Richard Butler and Co. will share the bill with James. Full dates and details right here. Record Rack: A round-up of the week’s new albums, expanded reissues and/or box sets, appearing each Monday on Slicing Up Eyeballs. All releases due out this Friday unless noted. This week’s releases include titles from Pet Shop Boys, Bronski Beat, Howard Jones, The Cars, James and more. Manchester-bred rockers James this week released their new album La Petite Mort in the U.S. — it came out in early June over in the U.K. and Europe — and have now announced they’re “venturing stateside for one night only” with a performance set for Oct. 21 at New York City’s Webster Hall. This week’s releases include a brand-new album from Steve Albini’s Shellac, the belated U.S. release of James’ new studio album, a reissue of MInistry’s ‘Twelve Inch Singles,’ a collection of unreleased Scruffy the Cat material, and the U.S. release of New Model Army’s latest record. 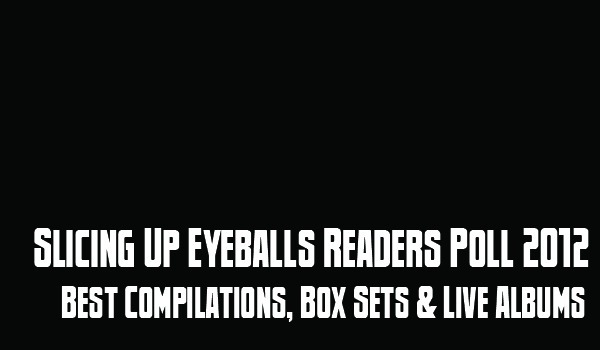 Today we continue with more results from our Readers Poll 2012, this time counting down the Top 10 compilations, box sets and live albums, with titles from the likes of World Party, James, Joe Strummer & The Mescaleros, Roxy Music, The Specials, Skinny Puppy, Duran Duran and more. 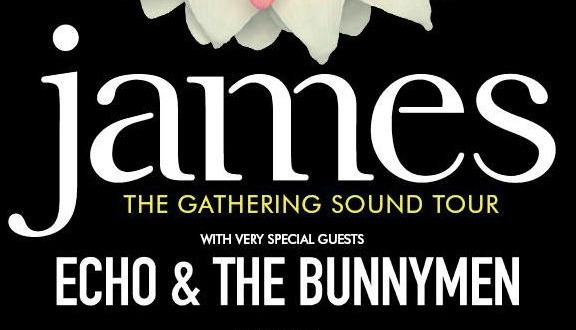 Long-running Manchester act James has enlisted Echo & The Bunnymen for a 10-date tour of the U.K. this spring in support of the band’s ‘The Gathering Sound’ box set, a career-spanning collection that originally was due out in fall 2011 and then this past spring — and is now finally due for release next month in the U.K.